The oiled wood of the cathedral creaked under the shoes of my son and I as we tip-toed through the back doors. “Silence, please,” the sign read. And I wondered how many tired, weary, searching souls had passed through that threshold seeking just that. 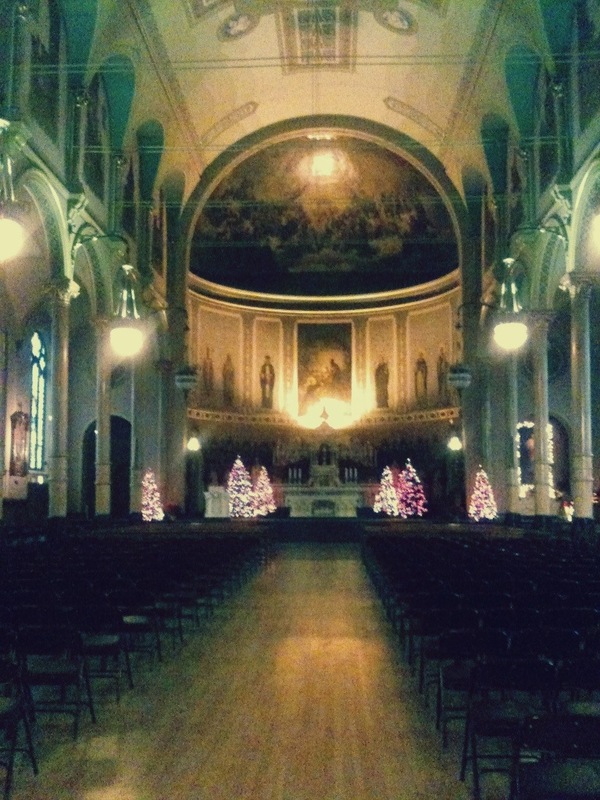 St. Stanislaus is the name of the church, a catholic parish, the largest and oldest in Chicago, home to throngs of Polish and Ukrainian immigrants, including my great grandparents, since the 19th century. I took my son there last Saturday, seeking the peace my weary ancestors and their peers perhaps sought as they embarked on hopeful journeys in this land, new to them . . . even as I seek peace as I am about to return to their homeland. Why did the earliest Christians go to lands unfamiliar and even frightening to them? Did God drop-kick them out of their comfort zones, like He’s done with me? To be sure, if this trip had not been miraculously funded in a matter of days . . . had His voice not been crystal clear and even deafening that I am supposed to go . . . were my husband not insistent that he is indeed leaving me at the airport, like it or not, in a few short hours . . . I would not go on this trip. My stomach is gurgling here in the wee hours of the morning as I write. My fingers tremble. I want to wake my boys and dogs and husband and spoon with them all until my fears go away. And yet my mind knows that my peace can only come from trusting Him. That’s my selfish, myopic problem, after all. I don’t really trust Him. Not really. Use me, God, despite my knotted up innards and shaky soul. Cover me and this team in the curve of Your hand, breathe peace and power into us, so that those who know us best will know anything good that comes from this trip comes from You. ← who am i. pre-departure thoughts on Ukraine. With each breathe we die but also through each breathe we live. Been thinking a lot about these things this morning thank you for the Ezekiel passage; I needed it this morning. Through this trip may each of this team grow a little closer to you Father God, as they learn with each breathe to die more to self and also with each breathe to live more through you. “Cover me and this team in the curve of Your hand, breathe peace and power into us, so that those who know us best will know anything good that comes from this trip comes from You. Peace within as we rest in his everlasting arms.